Last Tuesday, I had my first Gelish Manicure done at Milly's which located at Far East Plaza. Here's the closer look. Isn't it the glitter so nice? ^^. That's all for my short post for today :) Stay tune for my next update. Love your pretty nail look! Cant go wrong with glittery nails :) they do look lovely. 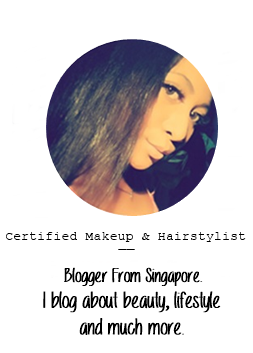 Loving reading your blog, I will enjoy following you. Thank you! It is very pretty colour! hi again doll! thank you for following ..I am now following you via gfc as well..would you like to follow via bloglovin as well? I've never had a Gelish manicure before. They turned out really adorable! I enjoy reading your blog, so I nominated you for a Liebster Award over on my blog. Hope you accept! Great manicure! Would you like to follow each other via GFC, bloglovin' and facebook? Great color, Will be eagerly waiting for more.